OMG?! Did you SEE? The new little pic in our sidebar! It's almost time for a new release! It's even closer to sneak peek time! It's sooooooo exciting! This release is gonna be HUGE! Many digis have been rubberized... plus we have new designs. Oh so much fun! Would you like to proudly display our Release Button?! We'd love it if you did! All you need to do is copy the photo and then add a gadget to your blog. Select add picture and you're good to go! But dont forget to add a comment here to let us know that you've added us! We'll draw 1 lucky winner to receive a $15 gift certificate to the store! The winner will be announced just as the release party starts! We also have another OMG/Congrats to hand out! Our wonderful design team member, Dawn Knight just welcomed a new baby boy into their home!! A HUGE congrats to her and the precious little one!!!! Oh, and i could just leave a post with no photo, could I? 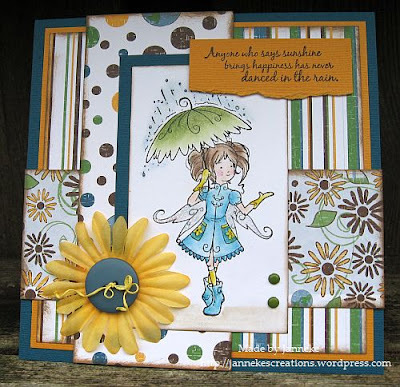 This card is by Janneke! I think it's spectacular and i just love her coloring on it! Ok, thats all for now! Wow I cant wait to see the new stamps and designs. I have added the release party button my blog. Of coarse I added the release party button to my blog! Can't wait! And OMG how awesome to see my card on your blog, what a great honor. What a gorgeous card! :) Super excited about the release coming up. I can't wait to see the sneak peeks! I've added the release party button to my blog. I was waiting for the new release button to come out. I checked on Monday! lol Oh and before I go congrats to Dawn and her family on the new baby boy! Many blessings to you and your family. I'm going to miss the release party this time...the first one I've missed :( But with any luck, I'll be enjoying a great family vacation LOL I added the button to my blog.